Drew Mihalyo, Founder, President & COO, Delta Care Rx Many chronically ill patients today are fighting a parallel battle with 'financial toxicity' or the distress arising from the cost of care. What's even more disturbing is the fact that pharmacy benefit managers (PBMs) and big chain pharmacies are largely to blame for this grim situation. Although PBMs exercise bulk buying powers and can avail themselves of prominent discounts from drug makers, unfortunately, they pocket a large share of the discounts and markup the price of drugs. Though lack of awareness about the middleman has kept PBMs away from intense scrutiny, the unethical practices underway did not escape president and COO Drew Mihalyo, PharmD, who has been closely observing the hospice pharmacy community since age 14. Coming from a healthcare family background and determined to educate the industry on the real cost of prescription medicine, Mihalyo introduced the world to Delta Care Rx with the intention of reviving a floundering health care system. Today, Delta Care Rx has client relationships in over 37 states in the United States and sets the industry benchmark for hospice pharmacy benefit management. But the company is so much more than a regular PBM, and offers a turn-key suite of technology solutions specifically tailored for the hospice industry and managed care organizations. “We are not afraid to go against the status quo. Our mission is to provide complete transparency for all stakeholders, put an end to extreme inflation on drug prices, and promote an economical and fair community pharmacy medication distribution model,” states Mihalyo. "Each member of the Delta Care Rx team works in unison to ensure that a patient's physical and emotional needs are sensitively met through superior customer experience and attention to the quality of care that individuals deserve at the end of life"
Whether the product in question is a drug, delivery service, bubble packing assignment, or an ancillary item, Delta Care Rx functions as a pass-through business with no hidden figures. Instead of slapping clients with a bill amount that is double the acquisition cost, the company charges a transparent membership fee to the hospices that belong to its programs. As a PBM, the company ensures that all medications arrive to the patient on time, via courier or through select local pharmacies. “We focus on managing symptoms for end-of-life care patients, so that we are able to make those forecasted last six months of life as comfortable and quality of life driven as possible,” adds Mihalyo. Through his initiative to restore fundamental care values, Mihalyo and Delta Care Rx provide hospices with a single point of contact for all their needs. These services range from on-demand pharmacist consultations, to technology tools, to inpatient procurement, and more. One of Delta Care Rx’s most compelling offerings is called Deltalytics, an advanced reporting software, built from the ground up by hospice pharmacists. The software identifies collective drug spend and helps analyze the best-in-class solution according to a client's specific needs. Clients can run a report anytime and glean critical information on opportunities for cost-savings, the risks involved in a particular investment, market trends, or to assess how a particular provider is performing in comparison to other programs of similar size. Conversely, Delta Care Rx, reaches out to their clients with important reports they feel can add value to an organization's decision-making process. “We take a lot of pride in generating client-specific reports, and we customize reports at no additional cost," says Mihalyo. While most pharmacy technology solution providers use products that were primarily built for other industries, Delta Care Rx can easily implement add-ons and customizations into its solution suite, as all its products are built to improve the quality of care. The solution also helps prepare Conditions of Participation (CoPs) compliance reports that provide complete medication profiles and comprehensive patient therapy assessments. Supporting a holistic hospice pharmacy model, the company's durable medical equipment (DME) management network is another marker of Delta Care Rx’s unique innovation streak. Through this service, clinicians can easily track DME deliveries through a smartphone or desktop, achieve better foresight, and above all manage pharmacy and DME from a single solution. All solutions easily integrate with industry standard electronic medical records (EMR) systems, eliminating the need for multiple entries of order details. “By connecting a client's EMR to our proprietary system, we streamline common workflow procedures as well as simplify CR-8358 reporting process, which requires hospices to report to Medicare with additional claim data that supports the payments for items like medication made by a hospice,” explains Mihalyo. The pharmacist owned company touts a recently completed and above average systems integration with Suncoast, by Complia Health, a major provider of hospice EMR technology, for a truly competent state-of-the-art solution. To further enhance workflow, the company's e-Prescribing application is stirring a changeover in hospice prescribing. As a result of Delta Care Rx’s e-Prescribing tool, patients can now receive medications more quickly than in the past, and experience fewer ordering errors. A large hospice located in the Northeastern U.S. is a case in point. The client was on alert after the state of NY mandated that all prescriptions had to be sent electronically. With the deadline imminent, the client had minimal time on hand to automate a completely manual process. Organization leaders approached Delta Care Rx in search of a cutting-edge e-Prescribing software. With Delta Care Rx's e-Prescribing solution, the hospice was able to reach its goals in a matter of four weeks. Its leadership effectively transmitted web-based prescriptions around the clock, across 40 different pharmacies and 14 different physicians. “All along, any client feedback on how the screen should look or how processes should work was promptly customized by our team of in-house experts. This design reflects on our strong user experience policy and desire to fuel our partners’ needs for innovation,” remarks Mihalyo. The company's latest industry disruption comes from Hospice Live, a telemedicine solution that offers physicians, patients, and pharmacists the experience of on-demand, live interaction with the push of a button. The option facilitates seamless care coordination especially meaningful in the wake of the opioid epidemic, where the Drug Enforcement Administration (DEA) wants to ensure that physicians interact with patients prior to writing a prescription. With Hospice Live, patients can now appropriately receive pain medication quickly, advancing better practices for pain management and access to treatment. "Hospice Live is certainly a high-level vision of where we see our future," says Mihalyo. A similar version of the company's telemedicine software and services is also offered to palliative care providers through ADAPT Health, a fully owned and operated extension of Delta Care Rx. ADAPT Health functions as a population health and telemedicine company focusing on advanced disease and palliative therapeutics. 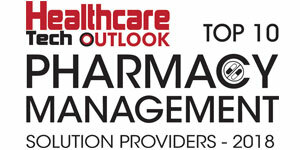 In addition to being a leading PBM and technology partner, Delta Care Rx also plays the role of a consultant. "Every time a hospice has a new patient admitted, our pharmacists talk with the hospice's administrative team or nurses, and we evaluate the patient's care regimen," notes Mihalyo. The pharmacist double-checks the medication prescribed for the patient, additionally monitoring their symptoms remotely and recommends the next steps for effective yet economical therapy. Delta Care Rx not only provides professional recommendations such as drug interchanges in drug therapy that enhance patient care and experience, but their contribution also helps significantly improve return on investment. Through it all, the company’s position is that clinicians need to focus on people rather tasks. Each member of the Delta Care Rx team works in unison to ensure that a patient's physical and emotional needs are sensitively met through superior customer experience and attention to the quality of care that individuals deserve at the end of life. Thriving on deep clinical knowledge, community stewardship, and ethical processes, DeltaCare Rx is undoubtedly the face of next-gen hospice pharmaceutical care.